Heel pain is a common affliction that can put a hold on your healthy, active lifestyle. At Houston Foot and Ankle Care, Dr. Gabriel Maislos, DPM, FACFAS, FAENS, diagnoses and treats heel pain with targeted treatment methods. Runners and athletes are susceptible to injuries that affect the heel bone, the largest bone in your feet. Whether it’s plantar fasciitis or something more complex, Dr. Maislos helps restore you to peak performance or function. Call or schedule an appointment online today to find out more. Your heel bone is the largest bone in your foot, located at the rear part of the extremity. The arch of your foot and the heel work together, allowing your foot to evenly distribute force or pressure exerted on it, especially when you’re walking on uneven ground. Plantar fasciitis is the result of inflammation to the plantar fascia ligament, which attaches your heel bone to the sole of your foot. Strain or injury typically causes micro-tears to the plantar fascia. If you have plantar fasciitis, you may experience heel pain with your first steps in the morning or when standing up after sitting for a long period of time. The tarsal tunnel is the canal between the bump on the inside of your ankle (medial malleolus) and the ligaments that span your foot (flexor retinaculum). Inside the tarsal tunnel are the nerves, arteries, and tendons that allow your foot movement and flexibility. Tarsal tunnel syndrome occurs when nerves inside the canal become compressed due to injury, disease, or the natural shape of your foot. This condition may lead to plantar heel pain, tingling, burning, or numbness. The heel pad is a cushion-like surface comprised of mostly fat on the bottom of your heel. It’s also sometimes called a fat pad. Wear and tear can lead to deterioration, or heel pad atrophy. This thinning of this cushion-like surface under your heel causes pain during physical activity or when you walk. How is heel pain diagnosed and treated? Dr. Maislos first assesses your symptoms by discussing them with you in his office. After a thorough physical exam to better understand the severity of your pain, where it stems from, and to see how much weight you can put on your foot, he may also opt for imaging tests such as X-rays. He might also ask you questions about your exercise habits and whether or not you have a history of foot or heel problems. It’s important to get an accurate diagnosis so you can receive the most appropriate course of treatment. 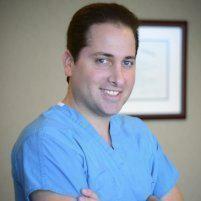 Dr. Maislos offers a variety of treatments to address heel pain. Once he determines the root cause of your heel pain, he works with you to develop a personalized treatment plan that’s right for you. Treatment may include a combination of interventions, including physical therapy, regenerative medicine like platelet-rich plasma (PRP) or stem cell therapy, custom orthotics, or night splints. If you’re dealing with heel pain that’s limiting your ability to function, call Houston Foot and Ankle Care or use online booking to schedule an appointment today.